For example, whether or not something called “electron” actually exists is not important. What is important is that our model can use the construct it calls “electron” to predict future observations. Whether or not the constructs used in our model do or do not actually exist in reality (i.e. Realism) is thus irrelevant. What is relevant is our connection to reality, and our connection to reality is the observations we can make. 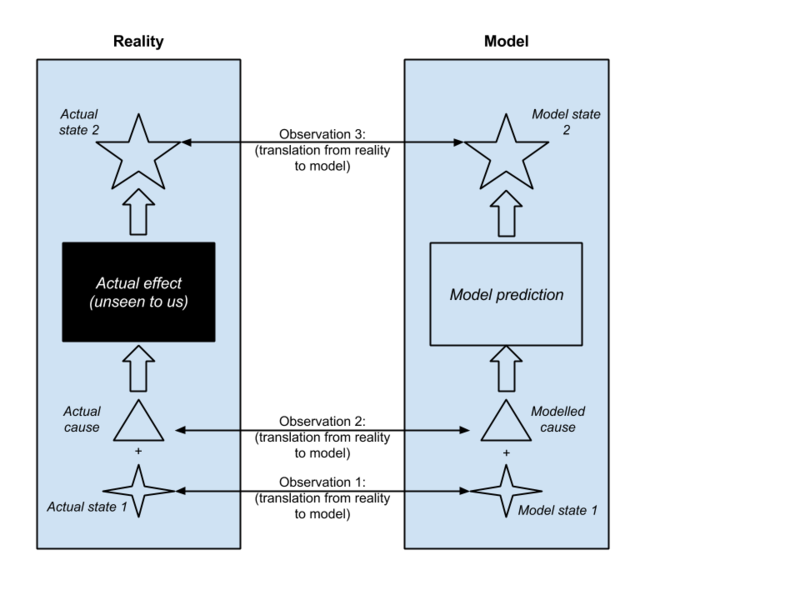 Thus, it is not important to predict actual reality, but to predict what we will observe using our model’s constructs. This entry was posted in Philosophy on August 1, 2015 by Kermit Kordell.